I’ve shared some menu ideas in the past but they’re usually around the holidays and geared for winter time foods. Today, I thought I’d share an example of what I’d serve this time of the year. All of the recipes can be prepared ahead of time and for me that’s key. I like to spend time chatting and drinking with my guests instead of frantically running around the kitchen. 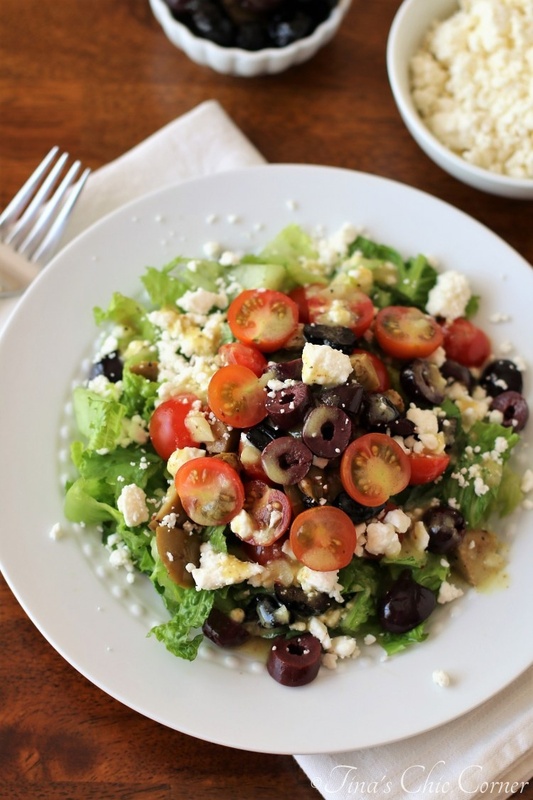 I always like to make a salad and for me, I prefer a light side salad, like this Olive Salad. Although my husband is not a fan of olives so I’d place them in a little bowl for everyone to add to their own salad. If it’s a warm day then I’d probably avoid heavy entrees. 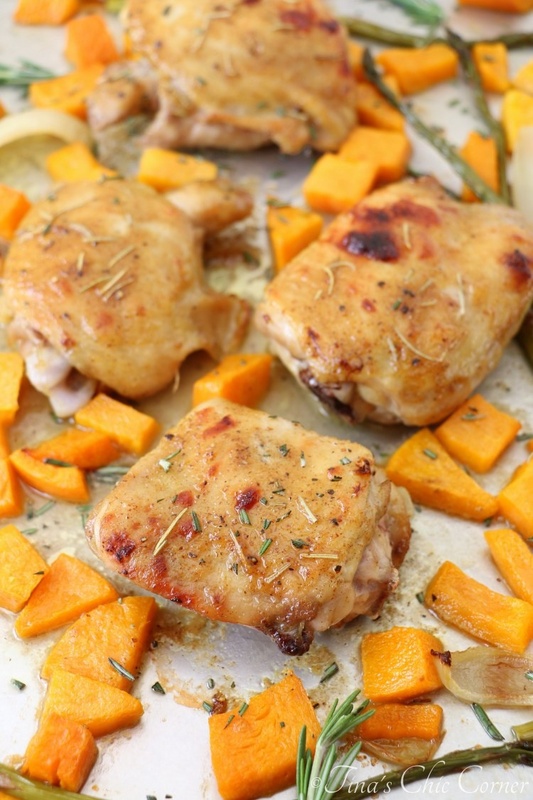 I love the colors of this maple and mustard roasted chicken dish. Plus, it’s a bonus that you cook everything on the one sheet pan because then you’ll have less pots and pans to wash after the guests have gone home. I might make an extra vegetable side dish if I’m not sure what my guests will like. 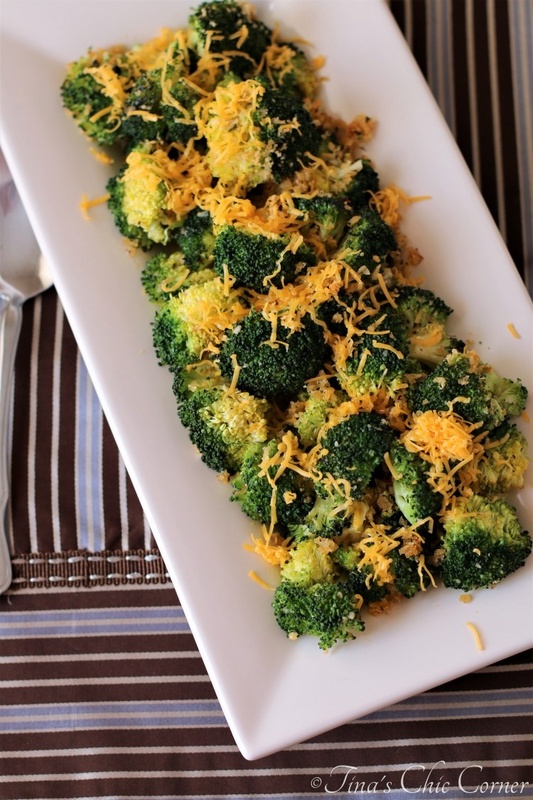 This oven roasted broccoli is perfect and it pretty much goes with any entrée. For dessert, I think anything goes 365 days a year. 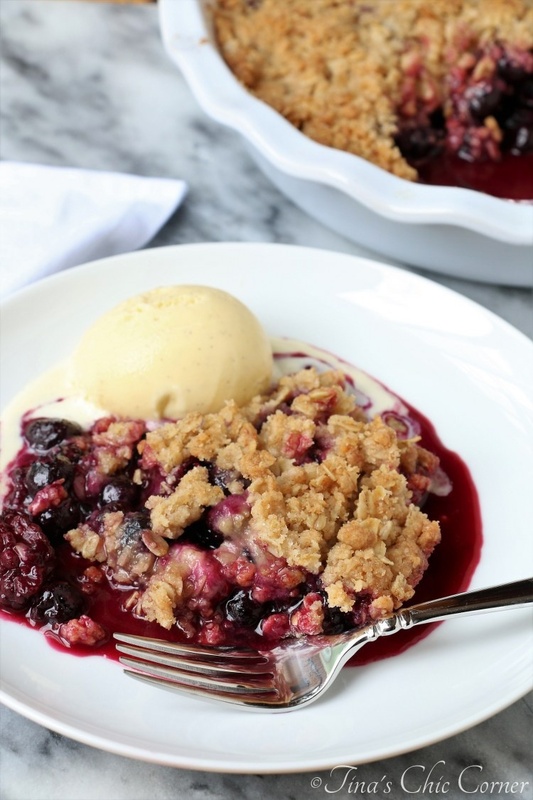 However, since berries are in season, this berry crisp is ideal with a scoop of good old fashioned vanilla ice cream.